“Christ’s method alone will give true success in reaching the people. The Saviour mingled with men as one who desired their good. He showed His sympathy for them, ministered to their needs, and won their confidence. 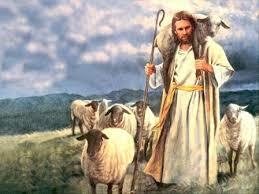 Then He bade them, “Follow Me.”–The Ministry of Healing, p. 143. Jesus is no longer walking the earth, but we are. We are to be the hands, feet, mouth, and heart of Jesus in a hurting and broken world. When it comes to spreading the good news of Jesus Christ, we need to think outside the traditional box and discover new ways to connect with the lost. Yes, we still need to conduct evangelistic (reaping) meetings, but had better make sure we follow Christ’s method alone in reaching people if we want to have true success. The first step in successful evangelism is to discover effective ways to mingle with people. Once we have successfully mingled with our communities as a church who desires their good, having shown sympathy, ministered to their needs, and won their confidence, we can then conduct evangelistic meetings to reap a harvest for the eternal kingdom. This is the method Christ has given us for these last days. It worked for Him when he was here and it will work for us if we “lovingly” work the method. There is no reason for a majority of our churches to be spiritually dead and lukewarm. If we are studying Jesus, knowing Jesus, following Jesus, and being Jesus in the world (but not of the world), people will see the Light and will respond in such a way that our churches will grow spiritually and physically. Remember, we will not be able to effectively minister to those seeking Jesus if we are stuck in traditionalism or cheap grace. We need a healthy balance of new and old. We need to make sure our theology is rock solid, but our methodology is changing with the times. I don’t see how that is a good resource to be pulling from. The Catholic Church is far from the truth in so many ways. If the Adventist Church is going to be healthy and growing, it will need to boldly stand up and speak up for God’s truths. Jesus said, “Repent! The kingdom of heaven is at hand.” Jesus clearly taught and lived what it meant to be a real Christian. We must do the same… uphold truth in love.